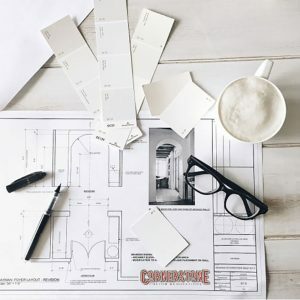 At Cornerstone Select Renovations we want you to feel at ease and confident from the moment we meet. We understand that everyone is unique, and with years of experience, we’ve developed options to ensure each client receives the level of service that best suits their needs. The end result provides you with a Firm Contract Price accompanied by a clear Scope of Work while respecting your budget and achieving your dreams. We understand that many clients need assistance with design, planning a budget, and selections – and we’re here to help! While taking care of the details, we keep things simple, clear and thorough. Our commitment to you is to provide creativity, ingenuity, and guidance as we explore design options within your investment range, so we can provide the perfect solution at a price you can afford. All of this is done before you commit to a Construction Contract. Understanding your project, lifestyle, vision, and goals. We refine your project until you are completely satisfied. Behind the scenes, preparation gets underway. We guide you through the product selections for flooring, cabinetry, etc. This is the most exciting stage for some of our clients! If changes are made, you will receive written Change Orders, keeping you informed of any additional costs or credits along the way. 6) Completion and Living Your Dream! Your Project is completed on time and on budget. Relax and enjoy your beautifully renovated living space!